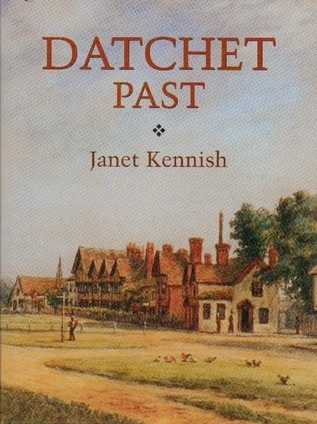 Janet’s latest book is a compilation of historical articles written for Datchet’s parish magazine, The Link, over many years. Datchet Past is still the only complete history but these articles take a longer look at some fascinating topics. The original articles have been revised, re-illustrated, and are grouped loosely by theme: People, the Village, the Church, Buildings, and Charities. 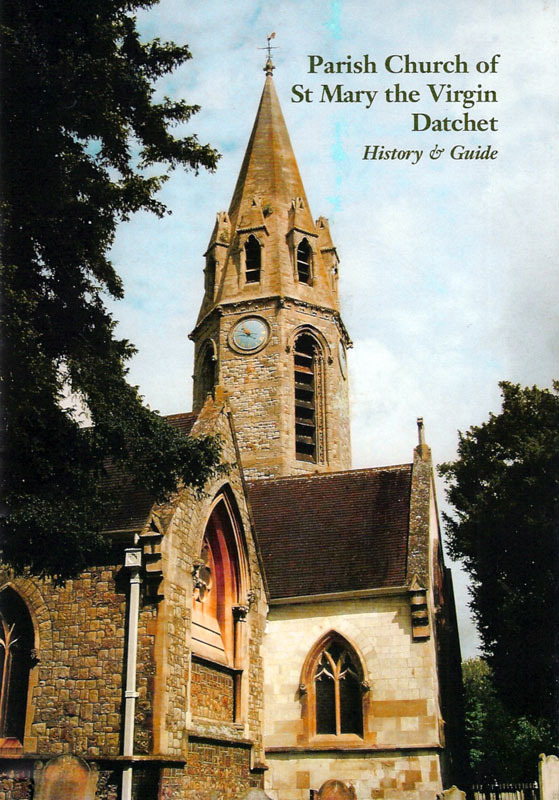 Some of the topics, such as Scandalous Vicars, Ladies in the Building Trades and The Bells and the Blacksmith, were written for The Link many years ago and may not have been seen by those fairly new to Datchet. 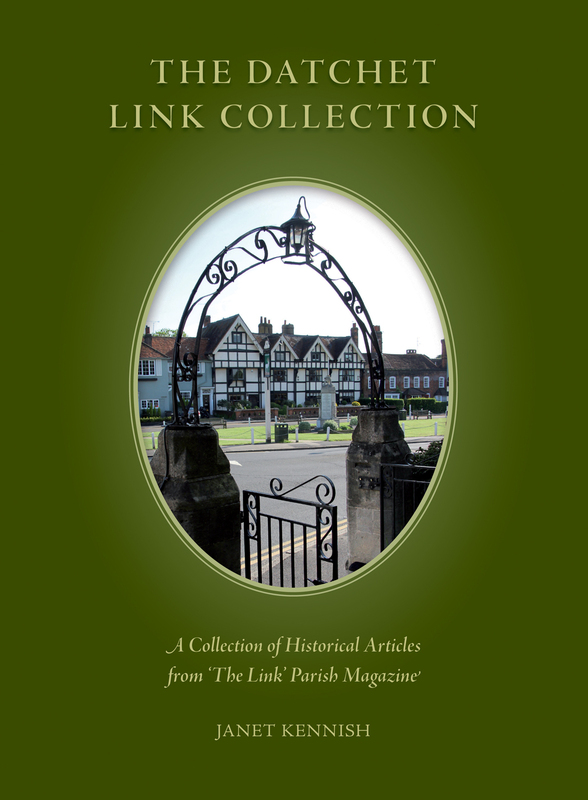 ‘In this first modern and comprehensive history of the village, original and thorough research demonstrates the presence and powerful influence of many kings, queens and lords of the manor, at Ditton Park and Riding Court. The astronomer William Herschel’s years in the village are documented, as is the extraordinary life and legacy of Robert Barker, Printer to Queen Elizabeth. This was written for the Trustees of the Robert Barker Bridge House Trust to celebrate Barker’s printing of the King James Version of the Bible in 1611. 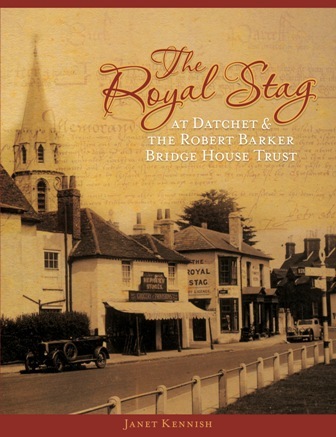 Robert Barker lived in Datchet and was thought to have founded the Trust, but we now know that it was actually an Elizabethan charity dating from 1570. The Royal Stag is the Trust’s main property. As the Bridge House, the income from renting it out originally paid for repairs to a bridge in the middle of the village, but the Trust now funds projects and organisations for the benefit of people who live here. From the 1500s onwards, this story focuses on the lives, times and personalities of the people involved. Who was the ‘Black Dog with the White Collar’? Who was the ‘Badger’? This account of bizarre events in Datchet two hundred years ago describes how a quarrel in the parish church led to nineteen men being tried at Aylesbury County Court for riot, assault and conspiracy. 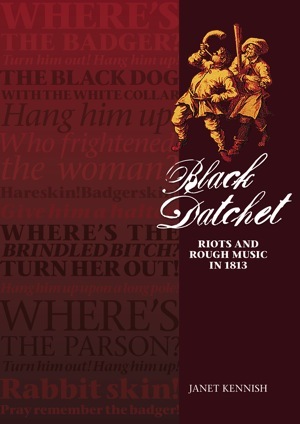 Janet Kennish uses records from the early 1800s to bring the episode to life, and explores the lives of the local characters involved, in an attempt to explain why such outrageous behaviour took place in Datchet – the rioters’ own “degraded village”. 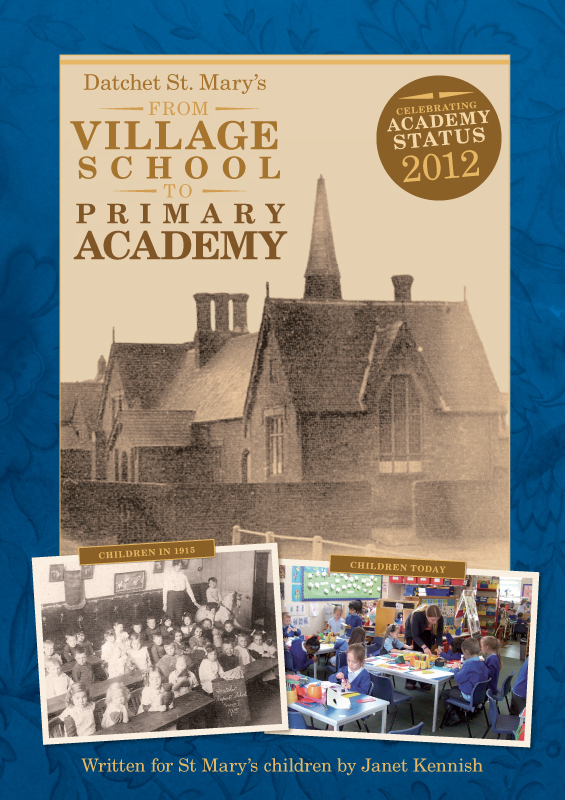 In 2012, when Datchet St Mary’s Primary School became an Academy, this book was written for its children and their families, both as a celebration and as a record of the school’s role in the life of the village since 1843. It is fully illustrated, entertaining, and designed to appeal particularly to children, being written in an accessible way by an experienced teacher. A timeline runs across every page, sequencing national events, inventions, clothes and children’s books. Every child at the school in 2012 was given a copy of this book, funded by a grant from the Barker Bridge House Trust. As well as an outline history and an account of the unusual Victorian rebuilding, this guide to St Mary’s Parish Church contains photos of the Tudor and Stuart memorials and full-colour photos of all the windows. Datchet is special: not only was it endowed with stained glass that depicts a wide range of biblical narratives, these windows were almost all made by O’Connor and Lavers & Barraud, two of the leading Victorian glass workshops.